MIDDLEBURY, Ind., Nov. 21 -- Richard Lavers, CEO of Coachmen Industries, Inc. said, "Today, we are pleased to announce that Coachmen Industries, Inc. has entered into an agreement for the strategic integration of Coachmen's Recreational Vehicle Business by Forest River, a large, financially secure, diversified and well managed company with a proven track record of demonstrated success in the RV Industry. Forest River will acquire most of the assets of Coachmen's RV Business, including our brands, our product lines, our central manufacturing operations in Middlebury, Ind., and our dealership in Elkhart, Ind. "For 44 years, Coachmen has been a leading and respected RV brand, employing thousands of dedicated and talented people in the communities where we have operated. Forest River is one of the largest and most profitable companies in the RV industry. The synergies of these two combined RV businesses are tremendous. Importantly, Forest River has agreed to offer continued employment to almost 85% of our RV Group employees in Indiana. Some will be able to interview with Forest River to explore career opportunities. Others will be transferred to the continuing operations of Coachmen Industries, Inc.
"With this transaction, we secure the future for this proud brand, and the employees of our RV Group. This announcement will also end the speculation over whether Coachmen itself will survive these extraordinarily difficult times, and preserve the jobs of our employee base, in both our RV and Housing segments. A healthy Coachmen Industries is clearly in the interests of all our stakeholders -- our shareholders, dealers and builders, our suppliers, vendors and other business partners, the communities where we do business, our customers and our employees. Our Company will emerge from this transaction as a systems-built housing company with a growing specialty vehicle business. The ARBOC Mobility bus previously unveiled this year will remain with Coachmen Industries. Our headquarters will remain in the Middlebury/Elkhart area. We will be financially sound with sufficient cash liquidity to not just survive, but to build our profitable housing businesses and continue our diversification into the bus and specialty vehicle transportation industries. The full details of this transaction will be released at the appropriate time. This transaction is subject to shareholder approval, which the Company expects to seek in December. The Board of Directors of Coachmen Industries, Inc. has set November 25, 2008 as the Record date for the Special Shareholder meeting. The actual Special Shareholder meeting is expected to be held as soon as practical after the Coachmen's proxy statement clears the SEC. The Company will file the preliminary proxy statement with the SEC as quickly as it can. Coachmen Industries, Inc. is one of America's leading manufacturers of recreational vehicles, systems-built homes and commercial buildings, with prominent subsidiaries in each industry. 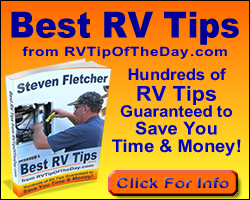 The Company's well-known RV brand names include COACHMEN(R)., GEORGIE BOY(TM), SPORTSCOACH(R). and VIKING(R).. Through ALL AMERICAN HOMES(R) and MOD-U-KRAF(R), Coachmen is one of the nation's largest producers of systems-built homes, and also a major builder of commercial structures with its ALL AMERICAN BUILDING SYSTEMS(TM) products. Coachmen Industries, Inc. is a publicly held company with stock listed on the New York Stock Exchange (NYSE) under the ticker COA.